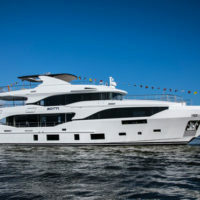 Benetti shipyard showcased some new models at the Cannes Yachting Festival from September 11-16, 2018, and a preview of new products: Oasis 135’, Diamond 145’ and 4 BNow models. Diamond 145’, power and balance. 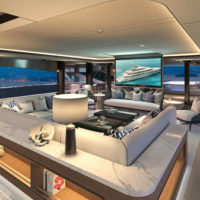 This 44-meter displacement yacht draws on the core features of the Benetti Displacement Class across its entire history. 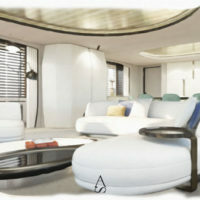 The elegant design suggests the proportions and details of a large yacht and conveys a feeling of sturdiness and power. The discreet but tangible sense of refinement will strike a chord with owners who love to combine glamour with credible practicality. 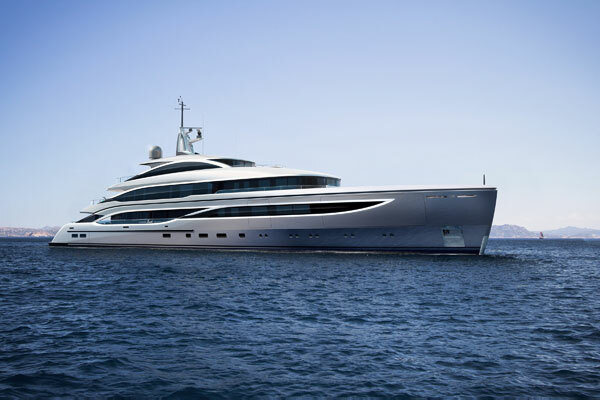 The seamless design of the huge glazed surfaces accentuates the length of the yacht and its brightly-lit interiors. The exterior styling, which stands out for its remarkable continuity of lines and surfaces, is the work of Giorgio M. Cassetta: “The Diamond 145’ represents yet another step in the evolution of the Benetti Class Displacement range. 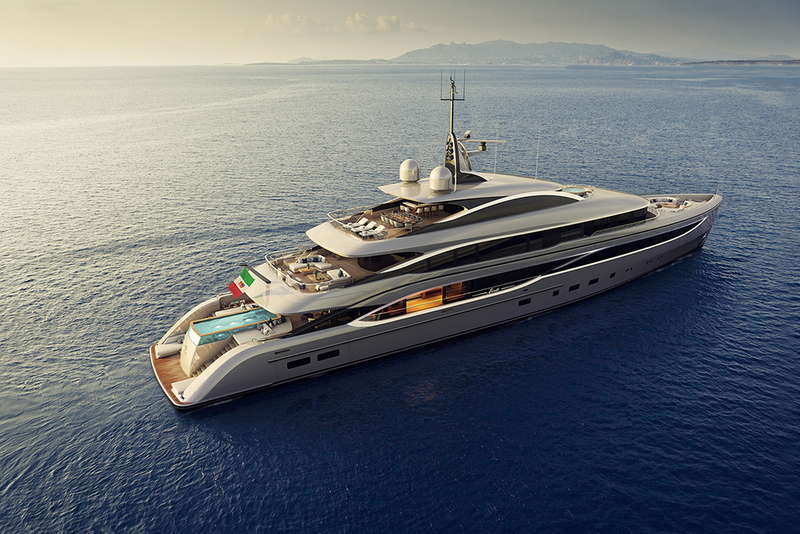 The clean, smooth lines embrace the proportions of a big yacht. 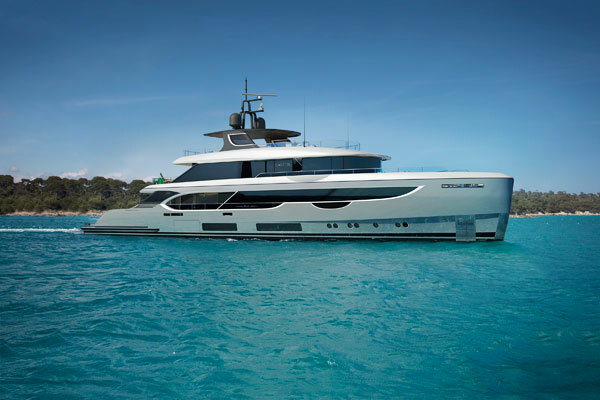 The high hull sides and extremely long reverse sheer line suggest leisure cruises in complete safety, while the sculpted masses of the superstructure define a refined and dynamic style. The distribution of the settings and layout is based on meticulous optimization of the available space. BNow, maximum comfort with short delivery times. True luxury, far from mere ostentation, means having our every desire satisfied, no matter how small, and owning something unique and different from all the others, something that answers the most personal needs. 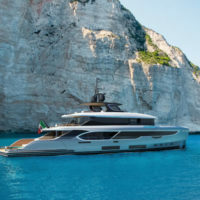 This is the philosophy that underpins BNow, the family of displacement yachts with a steel hull and an aluminium superstructure in the Custom product line. Featuring streamlined exterior lines and a vertical bow, the yachts in this product family offer well-being and comfort accompanied by much shorter delivery times. 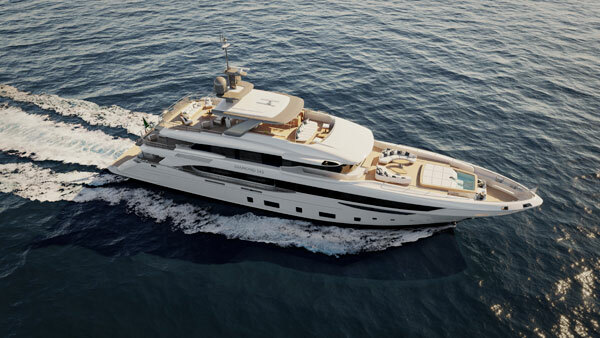 With the help of Benetti’s advanced construction technology, all BNow models will be built in less than the standard time recognised by the market. Four different lengths will be on offer: 50 meters, 55 meters, 63 meters and 68 meters in length. 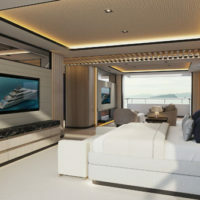 The result of close collaboration between Benetti and UK-based superyacht designers RWD, the yachts will have a layout that can be customized and newly designed exterior contours aligned with specific demands from various owners. Azimut|Benetti, managed by Paolo and Giovanna Vitelli, is the world’s largest. 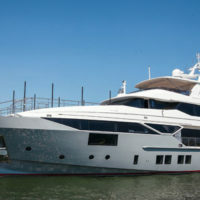 Based in Viareggio in Italy, it is a most highly-reputed builder of yachts and mega yachts. 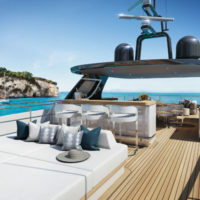 With operations in 68 countries and a network of 138 sales and customer service offices, the Group embraces the successful Azimut Yachts and Benetti brands, each dedicated to a different market segment. 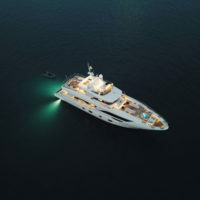 Included in the Group is Yachtique, a division focusing exclusively on services reserved for shipowners, led by Fraser Yachts, specialized in brokerage and leasing activities. 2017 was a year of growth and success for the group: 261 boats sold, value of production estimated at €850 million (+18%), 17 awards won, €122 million investments in the three-year period 2019-2021 to extend the range.